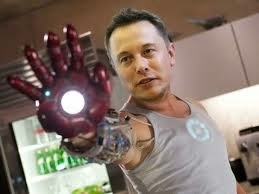 Thielon musk has been part of the plan for the Gigafactory all along. At an event in New York last fall announcing plans for SolarCity to build a gigantic PV-panel factory, Musk and Rive mentioned that every SolarCity unit would come with battery storage within five to ten years, and that the systems would supply power at a lower cost than natural gas. 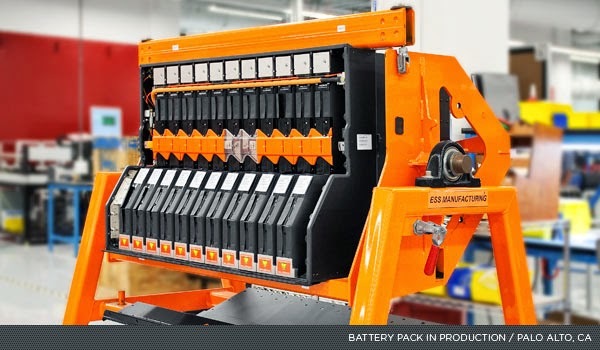 Those batteries will come from the gigafactory, currently being built in Nevada. Once the factory comes online, the strong demand for energy storage will allow it to immediately ramp up production and achieve economies of scale. Tesla CTO JB Straubel (who has said that he "might love batteries more than cars") says that the market for stationary batteries "can scale faster than automotive" and that a full 30 percent of the gigafactory will be dedicated to them. "I MIGHT LOVE BATTERIES MORE THAN CARS." Indeed, SolarCity has already begun installing Tesla batteries, mostly on commercial buildingslike Walmart stores, which have to pay higher rates when they use lots of power during peak hours. Tesla’s batteries let them store up solar power when they don’t need it, then use it when rates are high, shaving 20-30 percent off their energy bills, according to Ravi Manghani, an analyst at GTM Research. The prospect of cheap solar panels combined with powerful batteries has been a source of significant anxiety in the utility sector. In 2013, the Edison Electric Institute, the trade group for investor-owned electric companies, issued a report warning that disruption was coming. "One can imagine a day when battery storage technology or micro turbines could allow customers to be electric grid independent," the report said, likening the speed of the coming transition to the one from landlines to cellphones 10 years ago. Suddenly regulated monopolies are finding themselves in competition with their own customers. They haven’t had to deal with this on the residential side yet, primarily because people can sell excess power back to the utilities at fairly high rates — a practice called net metering. But that’s hurting utilities, too, and some have tried to lower the price at which they buy back power, which has been met by furious protests from people leasing panels. If utilities lower the buyback rate too much, however, and batteries get cheap enough, people may just unplug from the grid altogether — or more likely, install systems that let them rely on it only rarely — prompting what those in the industry call "the utility death spiral." It’s quite a bind: by fighting net metering, utilities would help make battery storage more economically viable, driving the transition to a distributed grid. This is the position SolarCity is taking as well. Last April, Peter Rive, SolarCity’s CTO,wrote that the company had no interest in prompting mass defections from the grid. "When batteries are optimized across the grid, they can direct clean solar electricity where (and when) it is needed most, lowering costs for utilities and for all ratepayers," he wrote. Utilities are in the best position to direct that electricity, he said, inviting utility operators to contact him. Will Craven, Solar City’s director of public affairs, calls it "infrastructure as a service." It would be a tricky transition, but some utilities may be open to it. During an earnings call last year, Straubel, Tesla’s CTO, said they were working with utilities. "The long-term demand for stationary energy storage is extraordinary," he said. "We’ve done a huge amount of effort there and have talked to major utilities and energy service companies." "THEY’RE PART OF THE ELECTRICITY NETWORK." "They’re not just carmakers," Manghani says. "They’re part of the electricity network. At least folks in the energy industry are very well aware of Tesla as a battery maker."